Round Dhualgiri Trek is a adventurous journey into the vicinity of Mt. 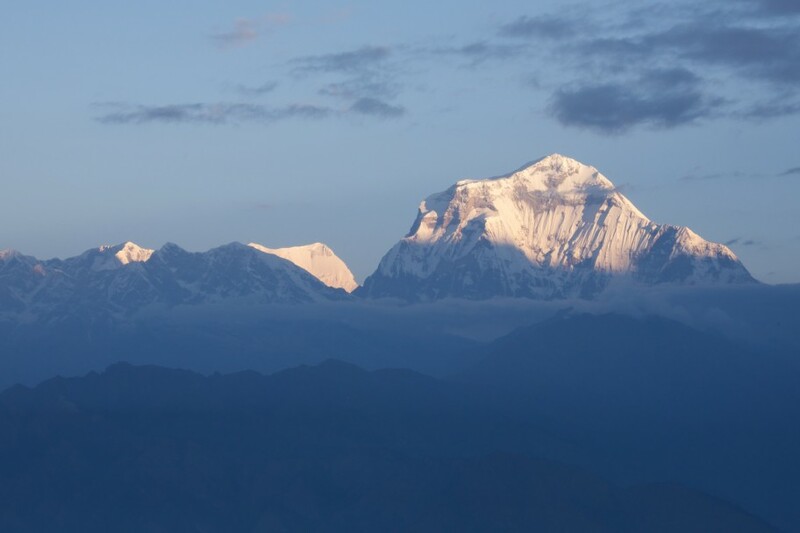 Dhualagiri (8167m), the seventh highest mountain in the world, and Annapurna I (8091m), the tenth highest mountain. The trail reaches Dhaulagiri Base Camp (4750m) and then passes through deepest gorge in the world, Kali Gandaki gorge. 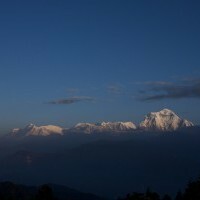 Round Dhaulagiri Trek is an adventurous journey into the vicinity of Mt. 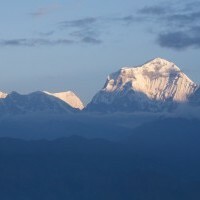 Dhaulagiri (8167m), the seventh highest mountain in the world, and Annapurna I (8091m), the tenth highest mountain. The trail reaches Dhaulagiri Base Camp (4750m) and then passes through deepest gorge in the world, Kali Gandaki gorge. The trail often snakes around traditional Nepal villages inhabited by diverse and cultural rich ethnic communities such as Gurung, Magar, and Chhetris. The lush forests of pine, juniper and rhododendron, terraced farming practices, glaciers, and pristine wildlife will mesmerize you. The region is flooded with rare species such as snow leopard, mountain goats, Himalayan Thar, black bear etc. The highs of Round Dhaulagiri Trek is the crossing of the French Pass at 5360m and Tharpa pass [5,155 m], which makes it two of the highest mountain passes in the Himalayan region. 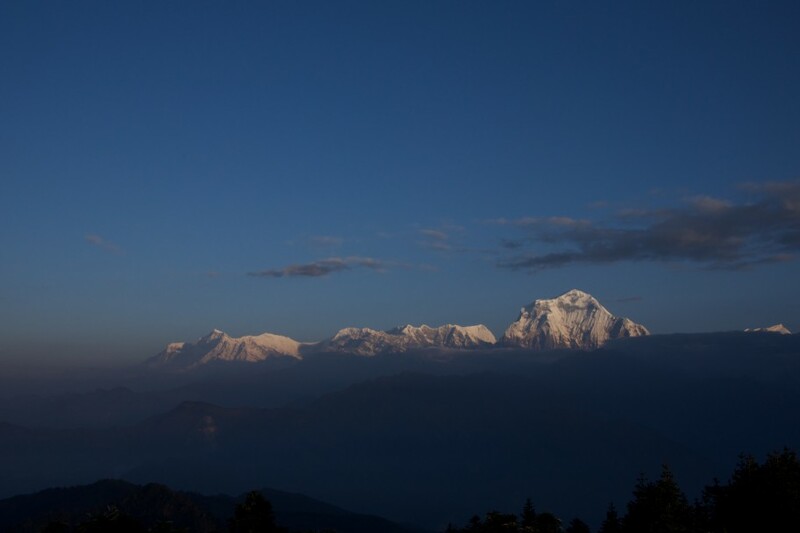 Dhaulagiri Base Camp affords a rare glimpse of entire Dhaulagiri ranges including Dhaulagiri I, II, III and IV. 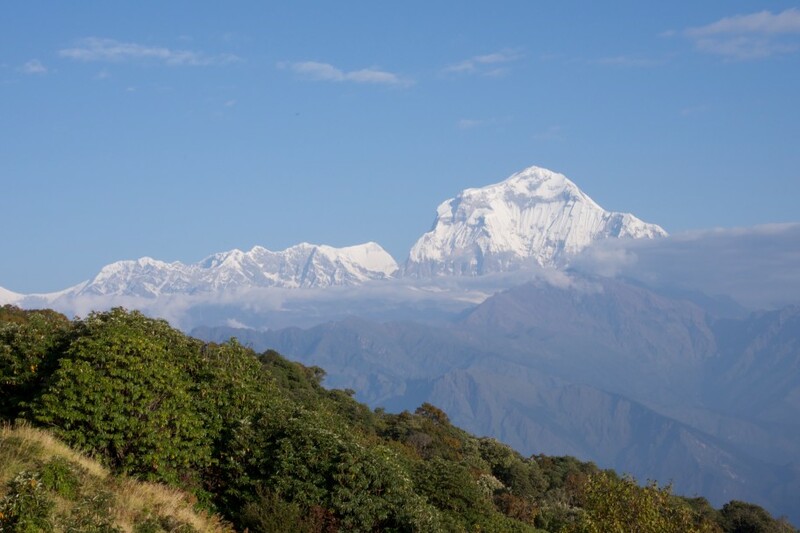 Along the trekking trail, you will be able to catch beautiful views of various snowcapped peaks such as Dhaulagiri, Annapurna, Macchapuchre, Putali Himal, Tukuche peak, Thorong Peak among others. 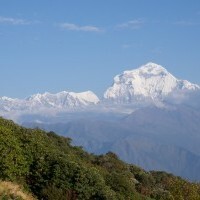 Round Dhaulagiri Trek is a challenging trek, hence trekkers are required to be physically fit and sound. Third pole Adventure Trekking has a team of experienced Sherpa guides and porters who can assist you every step of the way. Drive to Beni (820m) by bus - 10h. Beni - Babi Choaur (950m) - 6h. Babi Choaur - Dharapani (1470m) - 6h. Dharapani - Muri (2330m) - 6h. Muri - Bagora (2080m) - 5h. Bagora - Dobang (2540m) - 5h. Dobang - Pakoban (3580m) - 5h. Pakoban - Dhaulagiri Base Camp (4750m) - 7h. Dhaulagiri Base Camp - Hidden Valley Camp (5000m) via French Pass (5360m) - 5h. Hidden Valley Camp - Yak Kharka (3880m) via Thapa-la Pass (5244m) - 7h. Yak Kharka - Khobang (2575m) - 5h. Khobang - Ghasa (2080m) - 5h. Ghasa - Tatopani (1190m) - 5h. Tatopani - Beni - 7h. Drive to Pokhara by bus - 2h. Drive to Kathmandu 8h by bus or fly 35 minutes.